This is an easy recipe for homemade croissants that are made with cottage cheese, stuffed with dried cranberries and drizzled with a heavenly orange glaze. 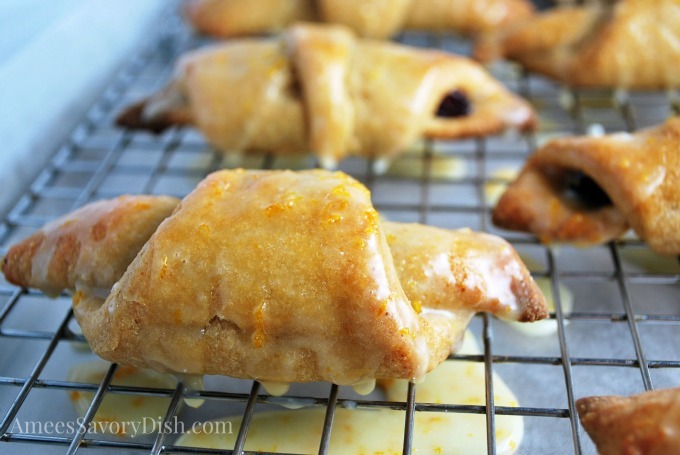 These Orange Cranberry Glazed Cheese Croissants would make a sweet addition to a holiday breakfast. I’ll be honest with ya’ll, I made these with whole grain white wheat flour on my first attempt and they tasted like poo. Lesson learned, don’t sub the white flour for wheat it makes them too dense and grainy, but at least go for the unbleached version. King Arthur flour is my favorite, it always yields great baked goods. I’m always looking to make things healthier, but it’s not worth sacrificing the quality of the recipe, or the happiness of my taste buds. 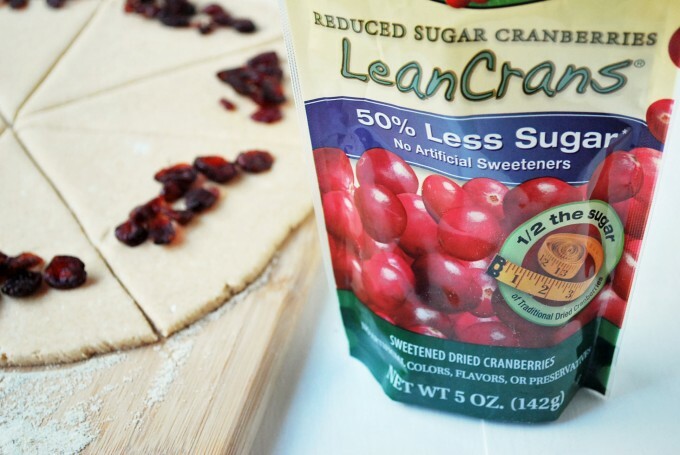 I love these low sugar cranberries to add to recipes. Most recipes have enough sweetness, so it’s a great way to cut some of the sugar. If you don’t love cranberries, just leave them out. The orange glazed croissants are tasty all by themselves. Whisk together orange zest, orange juice, half and half and confectioner's sugar in a medium size bowl. Cool croissants for 5 minutes, then drizzle glaze over top. 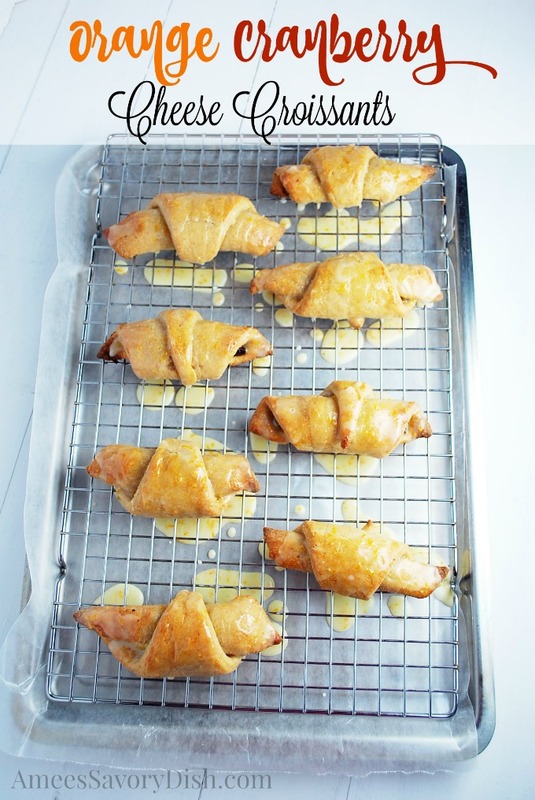 Eat one of these cheese croissants fresh from the oven, after glazing. Trust me, they are best fresh and warm. OMG these sound awesome! Glad that there’s actually a lower sugar dried cranberry without a bunch of artificial sweeteners in them. Definitely keeping my eyes peeled for them!